“Forever, and ever, you’ll stay in my heart — and I will love you…” I am the beautiful Aretha, queen of soul and stealer of your heart! I’m a petite and darling little 9-month-old girl that is big on being the center of your attention, but not much of a diva. On the contrary, I’m actually more passive and all about that R-E-S-P-E-C-T when it comes to people and other kitties alike. 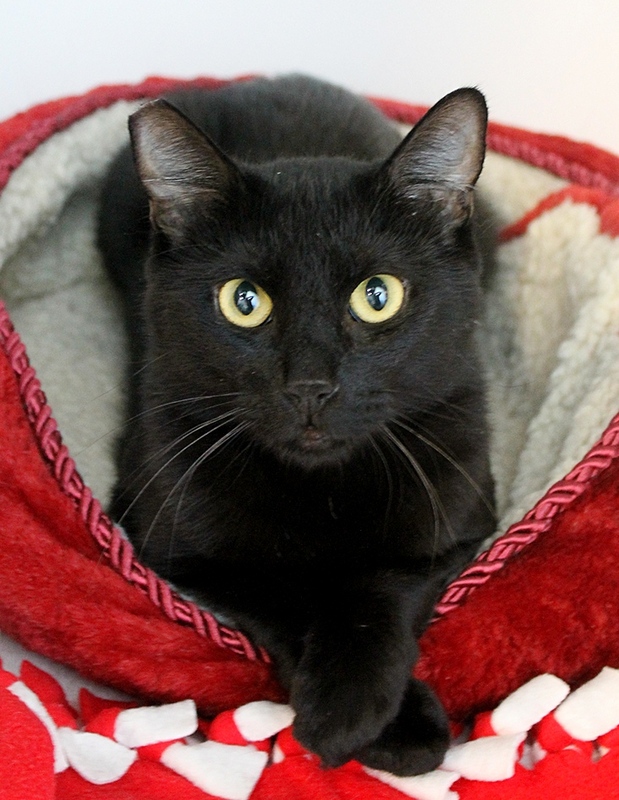 I was rescued off of the streets so I am just a tad bit shy at first, but it only takes me a second to realize you’re my friend and then I will purr, purr, purr away and roll over to invite more pets! I’m still a teenager so will most likely really blossom out of my shell if given just a little time in a home to adjust. I’m totally sweet and playful and will drool and give kisses for love. When I first got to Pixie I was a bit vocal, which gained me my name, but I’ve since settled in and am quite quiet and calm, especially for a teenager! I would love to find my family and I know I will make a wonderful companion kitty for most any family. Are you interested in starting a love story with me? Perhaps a duet? Come down to Pixie to meet me today! I come to you fixed, vaccinated, and micro-chipped for an adoption fee of $100.